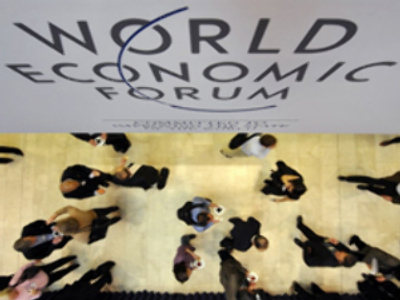 One of the hottest topics under discussion at the World Economic Forum in Davos is the rise of Sovereign Wealth Funds. These government-backed investments are regarded with suspicion by some, but as a godsend by others. Sovereign Weath Funds are helping ease the global credit crisis by investing billions of dollars in businesses needing cash. But some politicians and business leaders question the political motives of such funds. Estimates put the spending power of Sovereign Wealth Funds at more than $US 2 trillion – enough to provide a significant boost to a world economy facing slowdown. But economists say these funds could be looking for more than a financial return on their investments – and warn against political influence. Former U.S. Treasury Secretary Lawrence Summers says the West needs to be on its guard against foreign states using investments as a political tool. “The question is if we believe in market economies and we work very hard to create much larger markets and much more private enterprise – shouldn't we have some concerns and some sort of understanding established in some way with respect to transactions that have an element, albeit a very small element, of cross-border nationalization?” questioned Lawrence Summers. According to Russia’s Finance Minister, Aleksey Kudrin, the debate around Soverign Funds has been highly politicized. “During the period when traditional economies had strong funds and, through them, moved into markets and bought up industries, we never spoke of restricting capital,” Kudrin said. “We primarily expand within Russia. But in other countries, if we do come across good acquisition possibilities, we buy banks,” Andrey Kostin, the chairman and CEO of VTB Bank, said. With its value rising fast, Russia’s stabilization fund will top $US 200 billion by the end of 2008. These state funds could soon become among the main drivers of global investment. “Fixed-income instruments are good for preserving capital but I would rather see the Stabilization Fund and the Reserve Fund being invested in safe and liquid instruments,” Sergey Guriev, CEO of Centre for Economic and Financial Research at New Economic School, said. But governments have often proved to be less good at investing than private-sector financiers. Speaking at the session, Kudrin said Russia plans to place at least 60% of its investment fund into bonds, something economists doubt would be a successful strategy. Anatoly Chubais is the head of Unified Energy System, Russia's main electricity supplier. He says a prolonged economic slump would damage Russia's economy.